We’ve Got It! NFCU now offers the convenience of getting a NorState Debit Card INSTANTLY! No need to wait for your card in the mail! Whether you open a new account or need to replace a lost or damaged card, you may receive your new EMV Debit Card instantly! Instant Issue is currently only available at our Madawaska location. Some restrictions may apply. NorState Federal Credit Union offers you a VISA Check Card / Debit card that allows you to charge purchases against your share draft account. It works like a check wherever VISA Debit is accepted! You can also customize your Visa Check card to express your personal style. In addition to making purchases, it also replaces your ATM card. 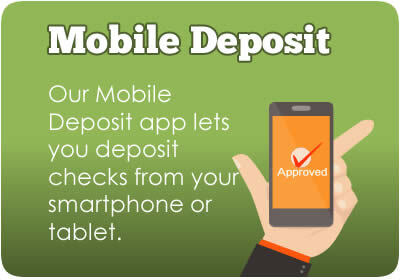 Use at thousands of ATM Locations worldwide to make withdrawals, transfers and deposits. In case of a lost or stolen debit card outside business hours, please call toll free (800) 472-3272. Get Surcharge Free access with the CO-OP Network and Maine Credit Union Alliance. Just look for the SURF logo or CO-OP logo on credit union ATMs! 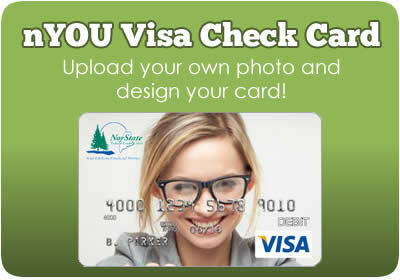 NorState Federal Credit Union is pleased to bring you the latest in Check Card Technology - nYOU Custom Visa Check Card! In a few easy steps, create a card that reflects your personality. 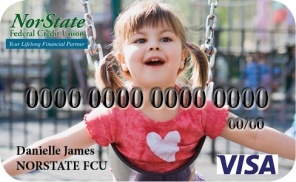 A fee of $5.00 will be debited at the time of card ordering from your NorStateFCU Checking account. You must currently have a NorStateFCU Checking Account to use this service. Don't have a NorState FCU Checking Account? Call 1-800-804-7555 or stop by any of our 6 locations near you to enroll. If you recently enrolled into a Checking Account, or have a Checking Account, but no VISA Check Card and would like to sign up, please make sure to enter Six Zeros (000000)in the card number field when customizing your nYOU VISA Check Card. Information about Debit Card Holds can be found HERE.